Delicious any night of the week. 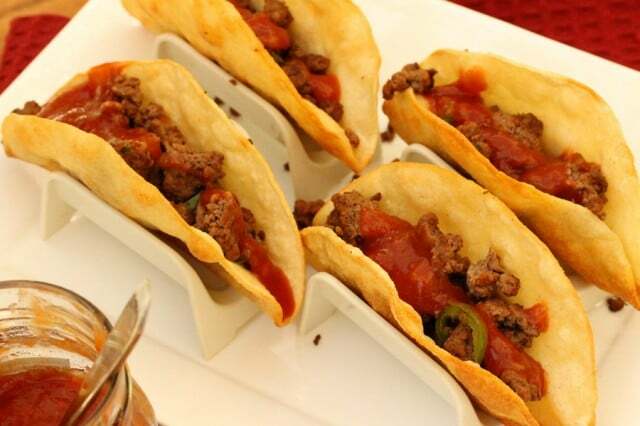 Corn tortillas are great to have on hand for quick and easy meals like these crispy tacos. 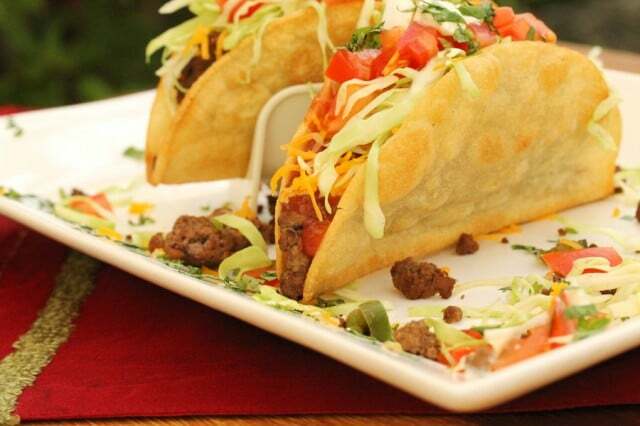 The shells for these tacos couldn’t be easier to make. 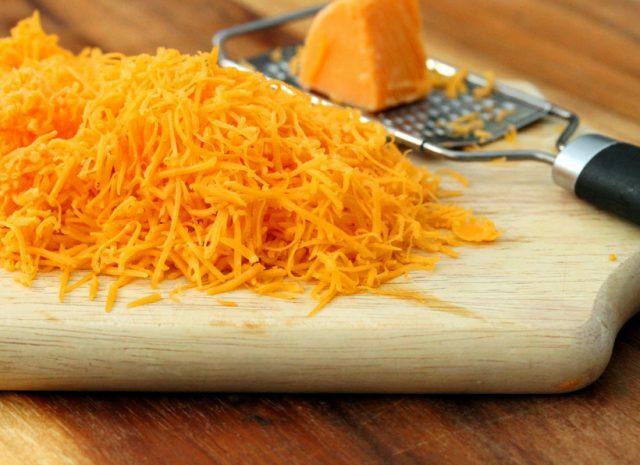 Just 2 ingredients are needed, corn tortillas and canola oil. 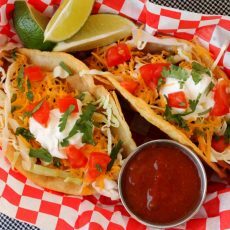 The filling for these tacos includes seasoned ground beef made with a handful of spices, shredded or thinly sliced green cabbage (or head lettuce is good too), chopped tomatoes and cilantro. 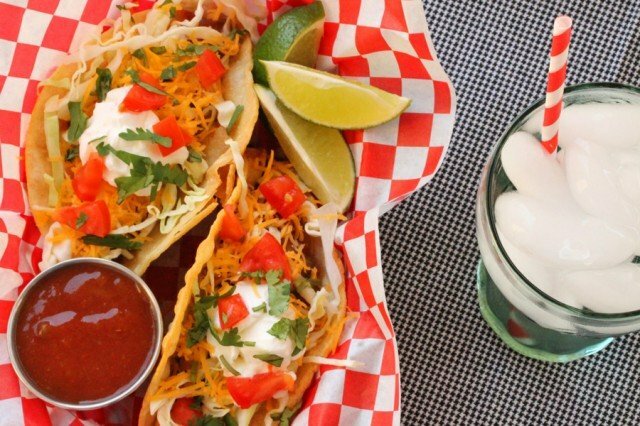 Salsa and a dollop of sour cream are also added to the mix for crispy tacos as good, if not better than at a Mexican food restaurant. 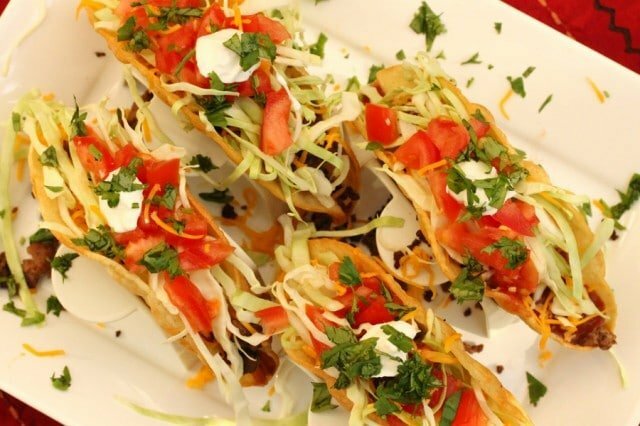 Here are more scrumptious recipes with crispy corn tortillas “Corned Beef Taquitos with Homemade Avocado Sauce“, “Chipotle Lime Tortilla Chips” and “Brie and Olive Tapenade Nachos“. When buying corn tortillas in the store it’s helpful to check the “use by” dates on the packages and pick the one with the longest date. Sometimes tortillas on the grocery store shelf have expired dates on them so I like to reach for the packages in the back of the shelf to find the ones with the longest “use-by” date possible. I found that when stored on my kitchen counter, the tortillas would “sweat” in their packaging and get mold on them fairly quickly. So now I store them in the refrigerator and they last a lot longer. …chopped tomatoes, chopped cilantro, sour cream and Seasoned Ground Beef. …chili powder, granulated garlic, cumin, salt and pepper. Stir together. 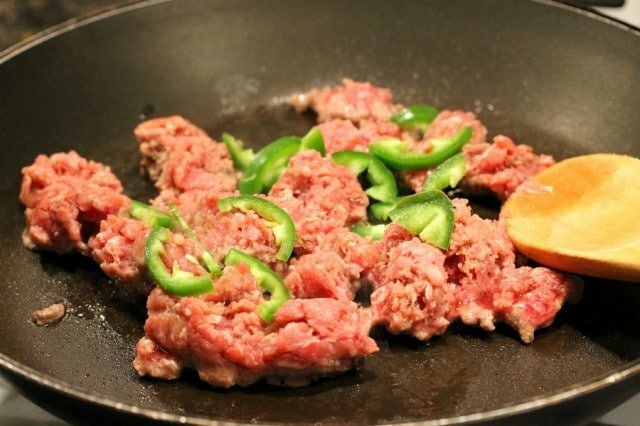 Using a heat resistant spatula, break up the ground beef so that all of the meat is in small pieces about the same size. 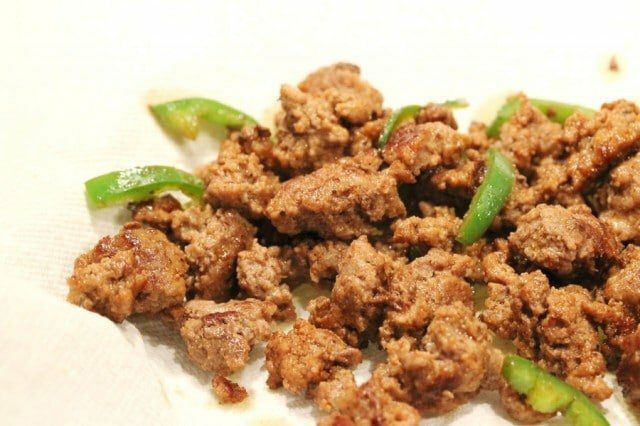 Continue to cook the meat while stirring until it starts to brown and is thoroughly cooked. 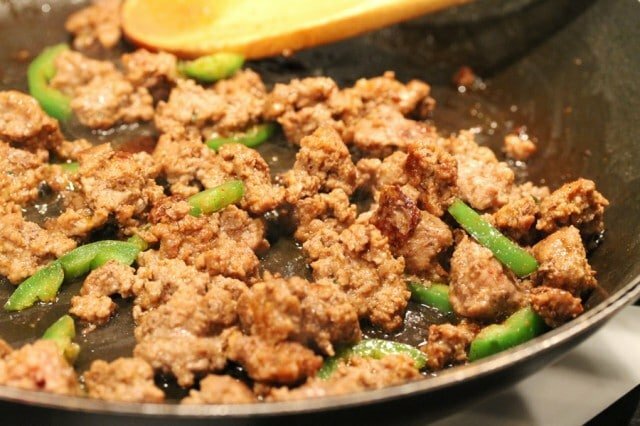 Transfer the ground beef from the skillet onto a paper towel-lined plate to drain off any excess grease. Wrap the meat in the paper towel (to keep it warm) and set aside. To a small skillet, add canola oil. Heat the skillet on medium heat. 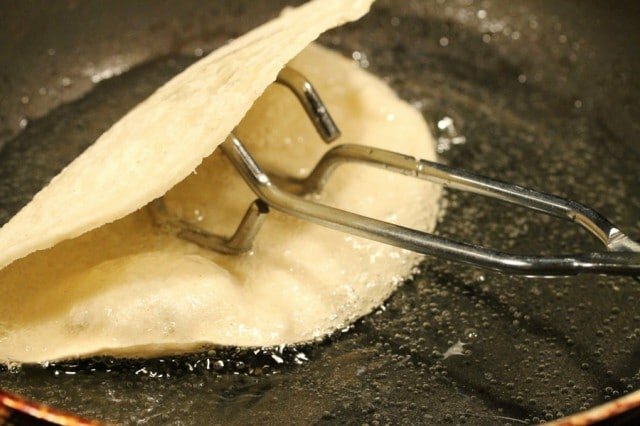 Add a tiny piece of a tortilla to the oil, when it starts to bubble, using cooking tongs, add a tortilla to the oil; hold up one side (half of the tortilla) out of the oil to form a taco shell. 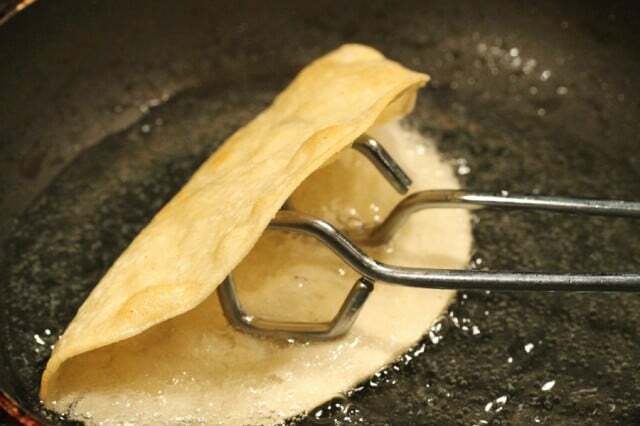 After the side of the tortilla in the oil turns golden, using your tongs, turn the tortilla over to cook the other side. Then, cook it until that side is also golden. 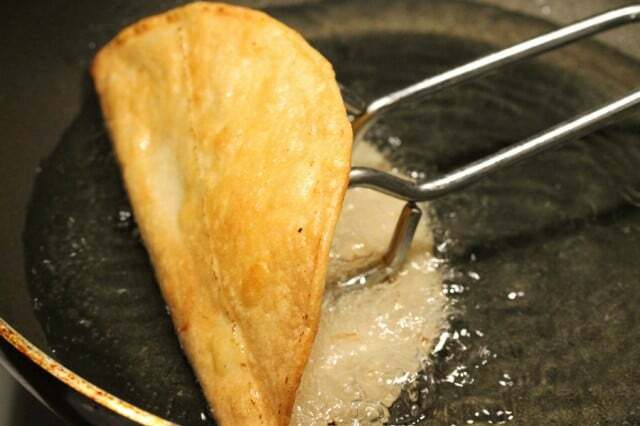 Transfer the taco shell from the pan onto a paper towel-lined plate. Repeat the cooking process for the remaining tortillas. 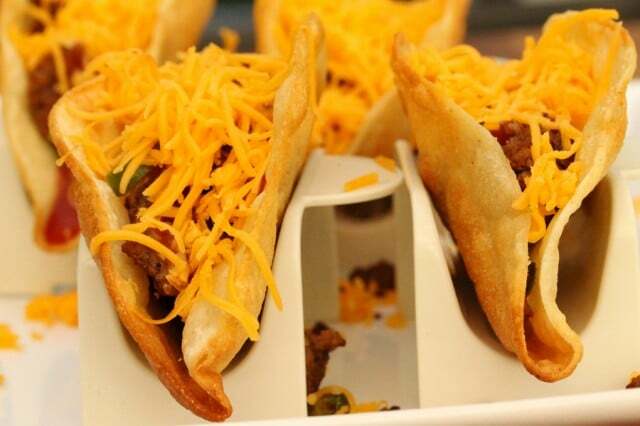 Set the crispy taco shells in taco holders if you have them so the shells can be filled. 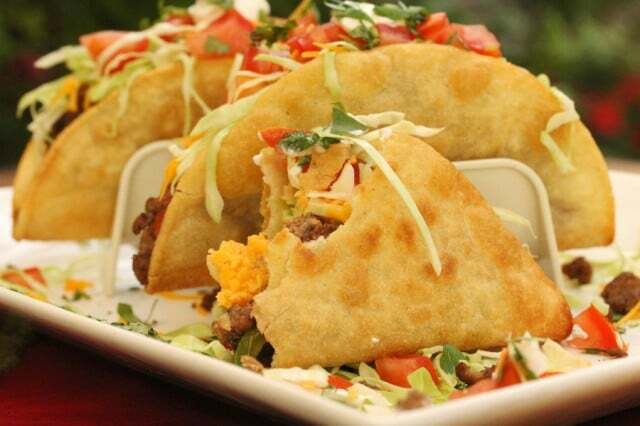 Otherwise, lay the crispy taco shells on a plate so they can be filled. 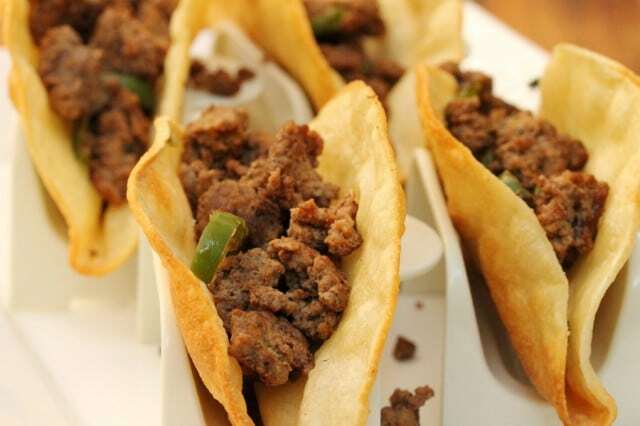 Fill the taco shells with a layer of seasoned ground beef. Then spoon salsa over the meat. 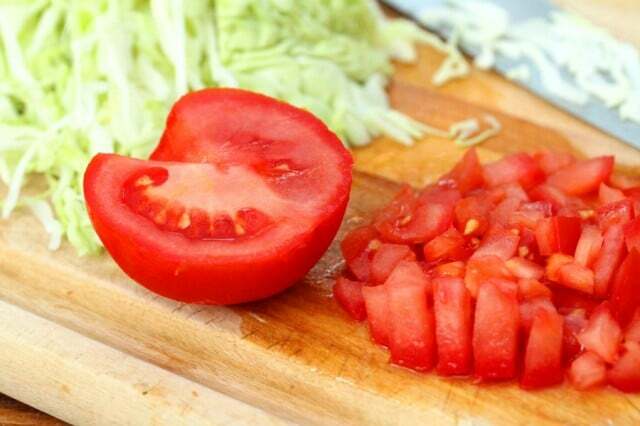 …a dollop of sour cream, chopped tomatoes and chopped garnish. Serve while the meat is still warm. 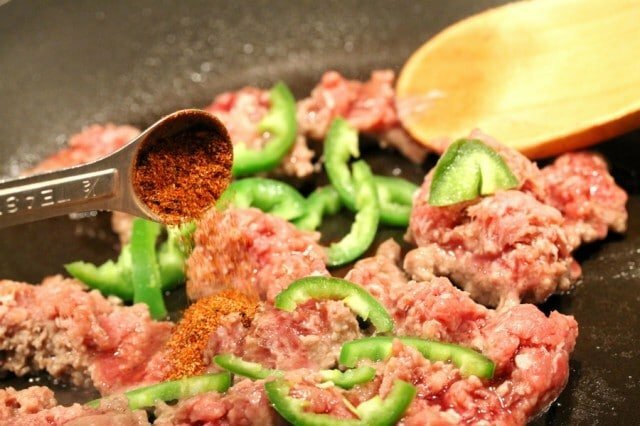 Heat a medium size skillet on medium heat and add ground beef, chopped jalapeno, chili powder, granulated garlic, cumin, salt and pepper. Stir together. 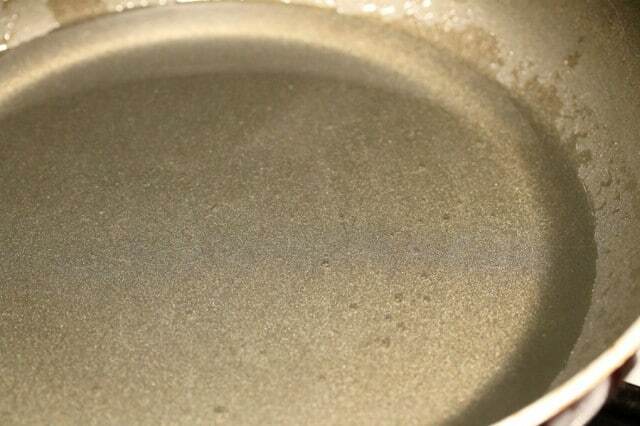 Then, cook it until that side is also golden. 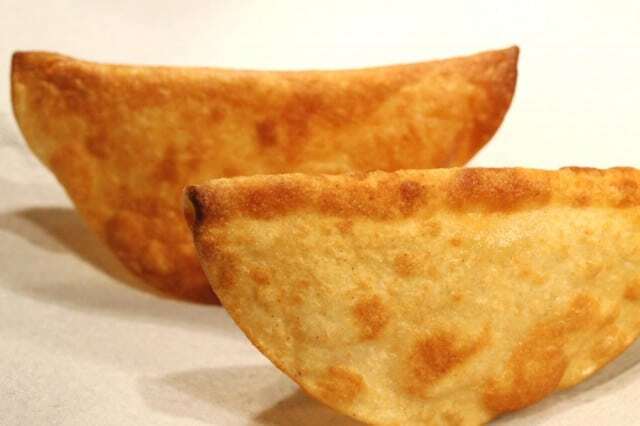 Transfer the taco shell from the pan onto a paper towel-lined plate. 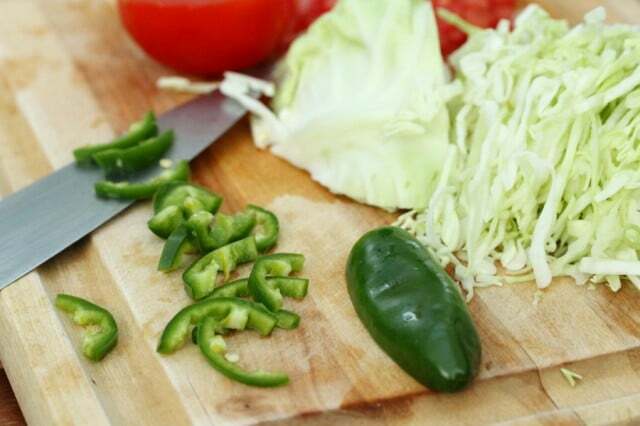 Repeat the cooking process for the remaining tortillas. 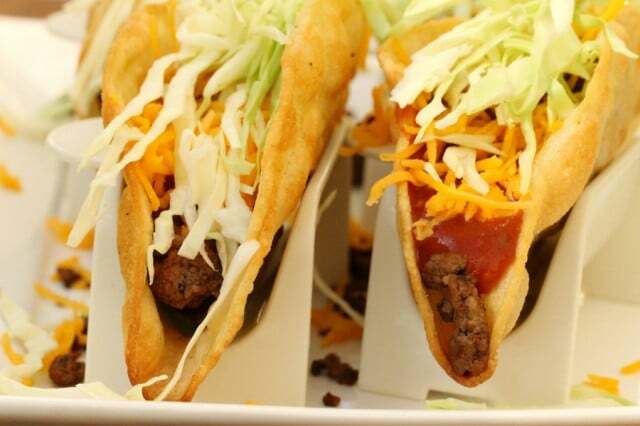 Fill the taco shells with a layer of meat. Then spoon salsa over the meat. 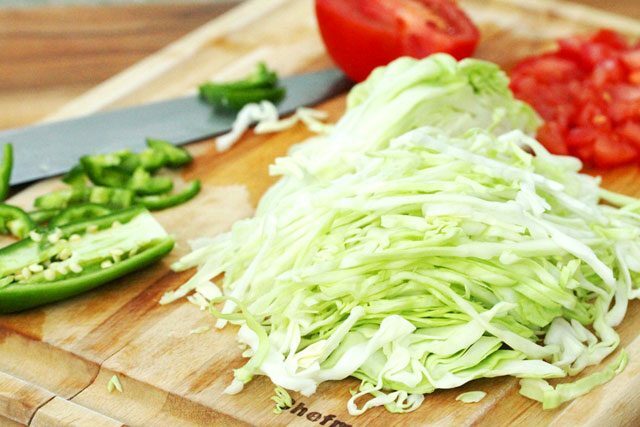 Next, top with shredded cheese, shredded cabbage, a dollop of sour cream, chopped tomatoes and chopped garnish. YUM! Just how I grew up making my taco shells!!! Love it! 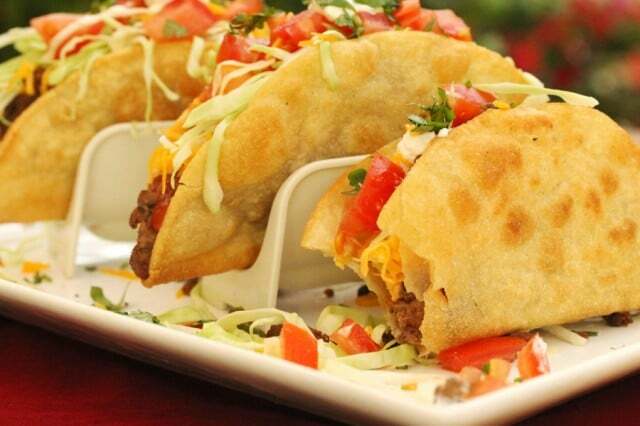 Your from-scratch tacos look amazing! 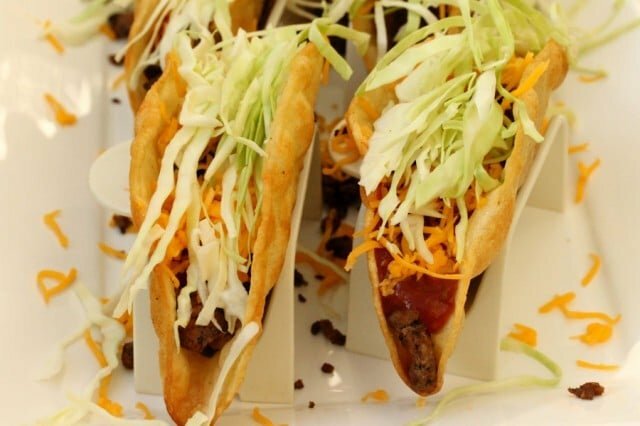 I love that you make your own taco shells! Hi Kate, thank you! And btw….I absolutely love your site. 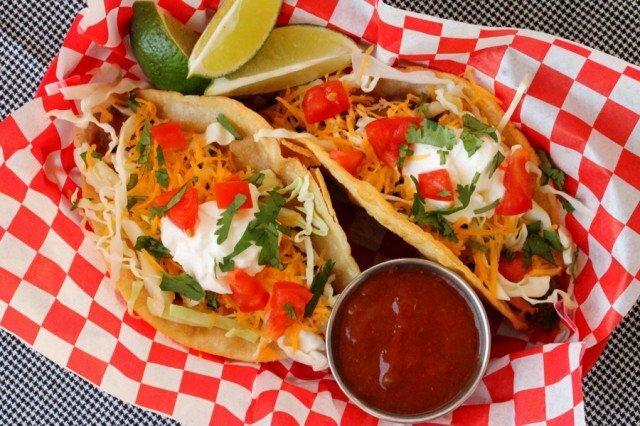 Tacos are a great meal-it has been awhile since I have fixed them, but this post inspires. The shells are perfectly fried and the pictures really are tempting. Thanks for sharing.